2010 His first trip with the aim of painting outdoors in the vicinity of the Our Saviour Cloister near the town of Klykovo of Kozelsk district, Kaluga area. A trip to paint outdoors on the Kolvitsa River, Kola Peninsula, Russia. Travelled to Odessa and the Crimea Peninsula. 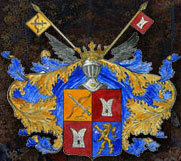 Kozhin worked as art-director for the Russian Estate Gallery. 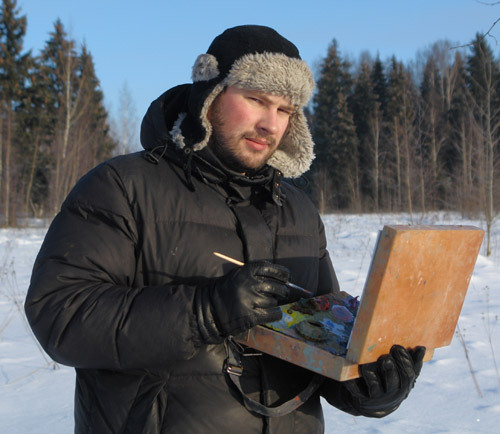 2013 A trip with the purpose to work en plein air in Maloyaroslavets of Kaluga area. A voyage to Turkey (Belek), Spain (island Tenerife), Greece (island Corfu) and Italy (Isle of Ischia) to practice sea plein air painting. 2014 Presented one of his paintings to President Vladimir Putin. A trip to the island of Rhodes (Greece), Marmaris (Turkey), and Sutomore (Montenegro), to practice sea plein air painting. Simon Kozhin travelled to the North Caucasus (Arkhyz, Dombai, Terskol), Frolishchi (Nizhny Novgorod region), the Urals (Chusovaya River) and the sea open-air reservoir Budva (Montenegro). Simon Kozhin travelled to the North Caucasus (Teberda), Greece (Peloponnese), Croatia (Porec), Ural (Kyn), Crimea (Sevastopol). Simon Kozhin travelled to, Greece (Crete), Turkey (Oludeniz), Gorokhovets. Simon Kozhin travelled to, Greece (Corfu), Turkey (Gumbet). 2007 “20th Anniversary of the Russian Academy of Painting, Sculpture and Architecture”, exhibition at the Manezh Central Exhibition hall, Moscow. “Life Cycles Exhibition”, exhibition mounted in the crypt of St. Pancras Parish Church, London (the exhibition organized by the Bash Art, UK). “Sport 2007”, exhibition at the Art Olymp Gallery located in the Culture pavilion of the All-Russia Exhibition Centre, Moscow. “Festival of the Capital”, exhibition at the Gostiny Dvor, Moscow. “Master 2007: from Craft to Art”, thematic exhibition of the creative work of teachers, undergraduates and graduates of the higher art schools at the Culture pavilion of the All-Russia Exhibition Centre, Moscow. “Russian Wonder”, 10th art exhibition and fair at the Culture pavilion of the All-Russia Exhibition Centre, Moscow. 2007/08 “Poesy of the Truth”, exhibition at Les Oreades Gallery in the Central House of Artists, Moscow. 2009 “Contemporary Russian Painting”, exhibition at the Oriel Gallery, Dublin, Ireland. “Traditions of the Present Day”, exhibition in the framework of the project Game of Imagination mounted at the House of Feodor Chaliapin Museum and Exhibition Centre, Moscow. International Exhibition of calligraphy, painting and photography of Northeast Asia, Changchun, People’s Republic of China. “Russian Art Week”, the 6th International Exhibition of contemporary art, Moscow House of Artists, Moscow “Attraction of Realism”, exhibition at the Izmailovo Gallery State Exhibition hall, Moscow. 2010 “Road to Church”, exhibition at the N-Prospect Gallery, St. Petersburg. 2011 “Klykovo. Seasons” exhibition mounted at the Image regional picture gallery, Kaluga and at the Kozelsk local history museum “Attraction of Realism”, exhibition mounted at the Izmailovo. Gallery State Exhibition hall, Moscow “Greatness in the Small”, exhibition held in the Central House of Artists, Moscow. “Russian Classical Painting”, exhibition in Yantai People’s Republic of China. “Russian Classical Painting”, exhibition mounted at the Yellow River Art Gallery, Dongying, People’s Republic of China. Participation in the project “P-bus stop” as part of the social art programme curated by the PERMM (Perm Museum of Modern Art), Perm. of the Painter Dmitry Belukin, Moscow. 2012/13 “The Union of Russian Artists. New Times”, travelling exhibition mounted at Chuvash State Art Museum, Cheboksary, at the Nizhny-Novgorod State Exhibition Centre, at the National Art Gallery in Yoshkar-Ola, in Gorokhovets History and Architecture Museum, in Murom History and Art Museum, in the Museum of Landscape under Plyos State Museum Reserve, Ivanovo region, at Tambov Regional. Picture Gallery, at Penza Regional Picture Gallery named after Konstantin Savitsky, in Lipetsk Regional Art Museum, at the Sysoyev Picture Gallery in Settlement Lev Tolstoy, Lipetsk Region. “Attraction of Realism”, exhibition mounted at the Izmailovo Gallery State Exhibition Centre, Moscow. 2013 “I am walking round Moscow”, exhibition marking the 65th anniversary of Mikhail Abakumov, People’s Artist of Russia, mounted in the Ozerov’s House Culture Centre, Kolomna. “The Land of Maloyaroslavets in Russian History”, exhibition at Maloyaroslavets Museum and Exhibition Centre named after Ivan Soldatenkov. “Safeguard the village, the wood and the amazing garden of mine”, exhibition marking the 400th anniversary of the Romanov dynasty, mounted in the Museum of Russian Estate Culture (the Vlakhernskoye–Kuzminky estate of Prince Golitsyn’s family), Moscow. “Look at Russia”, exhibition of Russian artists at the Sino-Russian Gallery named after Han Jianmin, Harbin, People’s Republic of China. “Vernadsky Planet” exhibition at the State Geology Museum of the Russian Academy of Sciences named after Vladimir Vernadsky, Moscow. “Every Little Helps”, exhibition of New Year’s toys held in the Museum of Russian Estate Culture (the Vlakhernskoye-Kuzminky estate of Prince Golitsyn family), Moscow. The exhibition at the Rossotrudnichestvo Representation from 7 to 12 March 2016, within the framework of the Maslenitsa festival, the section "Ethnographic Art" of the Creative Union of Artists of Russia "Folk Celebrations". The exhibition is one of the stages of the International competition project "Ethno Art Fest". London. Exhibition dedicated to the 25th anniversary of the creation of the International Association "Nature and Creativity" and a decade of cooperation with the Embassy of the Arab Republic of Egypt. Cultural center of the Egyptian Embassy. (Moscow). The exhibition "The attraction of realism" in the Cultural Center of the Moscow State Institute of International Relations of the Russian Ministry of Foreign Affairs. Unit “Manege” with the support of a number of diplomatic and public institutions. The Turgenev Society actively participates in the implementation of this initiative in various directions, carries out coordination, scientific and editorial support. November - Paris 19.11 — 30.11 Le centre de Russie pour la science et la cultureà Paris. 2013 Auctions No. 21128 and No. 21133 of the Bonhams Auctions, Chester, Cheshire, UK. Christmas charity Internet auction “The Warmth of Your Hands” organized by Eastern Europe Antiquity House and the Nastenka Charity Foundation for the children suffering of cancer. 2001 Exhibition hall in Haddenham, Buckinghamshire, UK. Exhibition at the Christian ecumenical youth conference: “I am with you always, even unto the end of the world” (Mt.28:20). Christianity. in the third millennium, held in the conference room of the Central House of Tourists, Moscow. 2009 Exhibition at the Game of Imagination Gallery in the Press Centre of the Izvestiya Publishing House, Moscow. 2011 Back Towards the Sources, exhibition mounted at the Representation of the Vologda region under the Russian President and the Government of the Russian Federation, Moscow. Exhibition in the local club of the settlement Radchenko (Konakovo district of the Tver region). “A Creator is no Craftsman”, exhibition in the Central Scientific Library named after Nikolai Nekrasov, Moscow. 2011/12 “Visual Visible Images”, exhibition at the exhibition hall of the Russian Auction House in Gostiny Dvor, Moscow. 2012 Exhibition at URALSIB | Bank 121, Moscow. “Dedicated to the 200th anniversary of the victory in the 1812 Patriotic War”, exhibition mounted at the Izmailovo Gallery State Exhibition hall, Moscow. Aivazovsky National Art Gallery. Feodosia. 2009. – 64 с. – (Мастера живописи. Русские художники). publishing, 2013. – 108 с.
чать), 2010. – С. 3012. – (Hübners Who is Who). БИРЬ, 2011. – С. 103. Парламентская газета. – 2002. – № 104 (983). ная газета. – 2003. – № 16 (5985). 54 (6053). – 28-31 декабря. цы»]. – Литературная газета. – 2007. – № 38–39 (6139). бель. – 2004. – Сентябрь. – С. 36–39, 194.
литературно-художественный журнал. – 2012. – № 8. – С.
Namdong: Montessori Korea Co., LTD, 2004. – 18 с. № 5. – С. 16. ТАLES: Rapunzel. – 2004. – Vol 1, issue 2. – [P. 56]. Русская история / гл. ред. В.В. Грицков. – 2014. – № 1 (28). Год культуры. – С. 21. Тысяча русских художников: [альбом] / [авт. текста Ю.А. С. 936. – (Большая коллекция). С. 11. – (История России). рус, 2009. – С. 134–135, 408.
годный каталог-справочник]. Вып. 8. – М.: М-Сканрус, 2009. – С. 70–73, С. 224.
лов. – Вып. 1. – М.: МОСМЕДЕАГРУПП, 2009. – С. 98–99, 304.
лов. – Вып. 2. – М.: МОСМЕДЕАГРУПП, 2010. – С. 98–99, 576. М-Сканрус, 2010. – С. 90–94, 380.
кус-Станди, 2010. – С. 59–60. 2011. – С. 58. – (Обо всем на свете). сийская академия образования. – М.: Просвещение, 2013. – С. 79. – (Академический школьный учебник). экспозиции]. – М.: Продюсерский центр Сергея Маркова. 2010. – С. 24, 27. Ко, 2008. – С. 118–119. Галерея Искусств: [каталог аукциона]. –М. : [Б/и], 2008. –С. = Moscow International Regatta “The Cup of the Capital” 2008. – М.: Спортивное маркетинговое агентство “JSA”, 2008. – С.
КОМ: [каталог аукциона]. 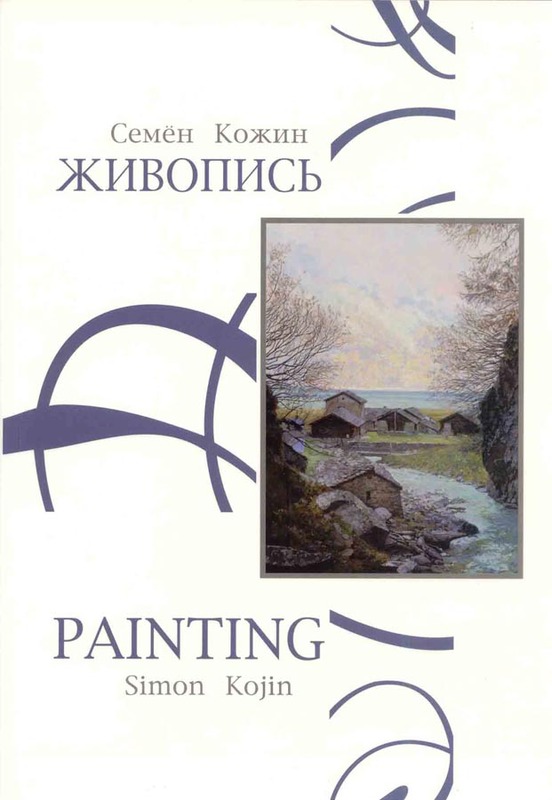 – М.: СОВКОМ, 2008. – С. 11.
выставки]. – London: Painting courtesy Sokol Fine Art, 2006. – [P. 4, 5, 15, 16]. ного искусства. – Пермь: [Б/и], 2011. – С. 155.
нъин, Международный художественный фонд; сост., гл. Sea Digital Press, 2011. – С. 33, обложка. агентство MCMG, 2012. – 32 с.
страна, 2012. – С. 93.
жеств, Государственный геологический музей имени В.И. Вернадского Российской академии наук. – М.: [Б/и], 2012. Nulty and Marina Sokolskaya. – Dublin, 2009. – [P. 6, 7, 15, 16]. краеведческий музей». – Пенза, 2011.
фильм / режиссер В.В. Артамонов. – 2011.